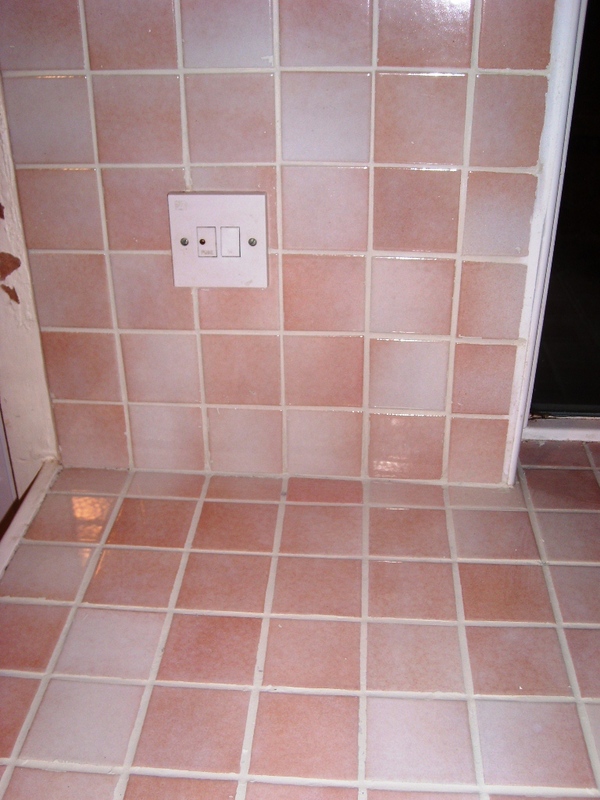 This was a straightforward request to deep clean the Ceramic Tile and Grout in the kitchen of a house in Romsey, Hampshire but as you will see from the photograph below the Grout was far too stained to be cleaned effectively. 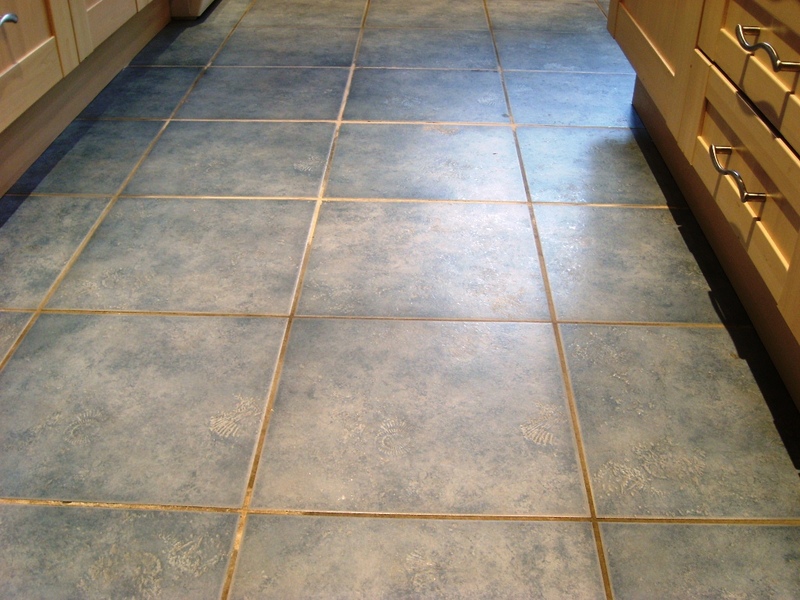 Kitchen grout gets a lot of abuse from spillages so this is not unusual and to prevent it the grout can be sealed or you can choose a dark grout colour. 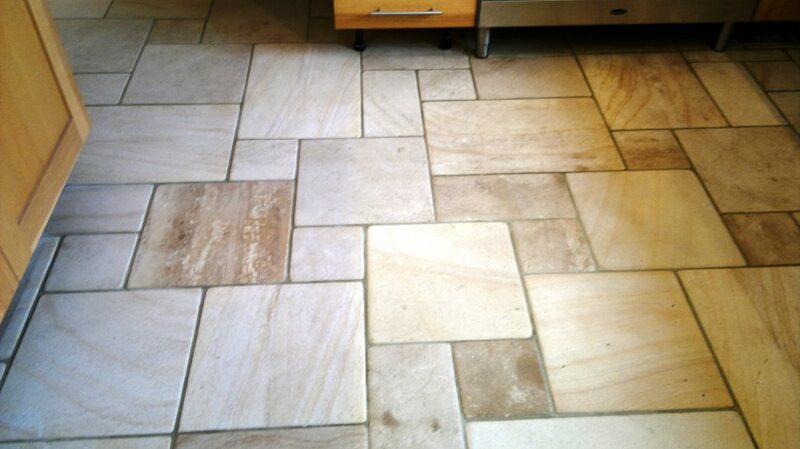 To get the tile and grout clean I applied a dilution of Tile Doctor Pro-Clean and left it to soak in to the surface dirt for a while before scrubbing it with a rotary machine fitted with a black scrubbing pad and also a stiff hand brush along the grout lines. 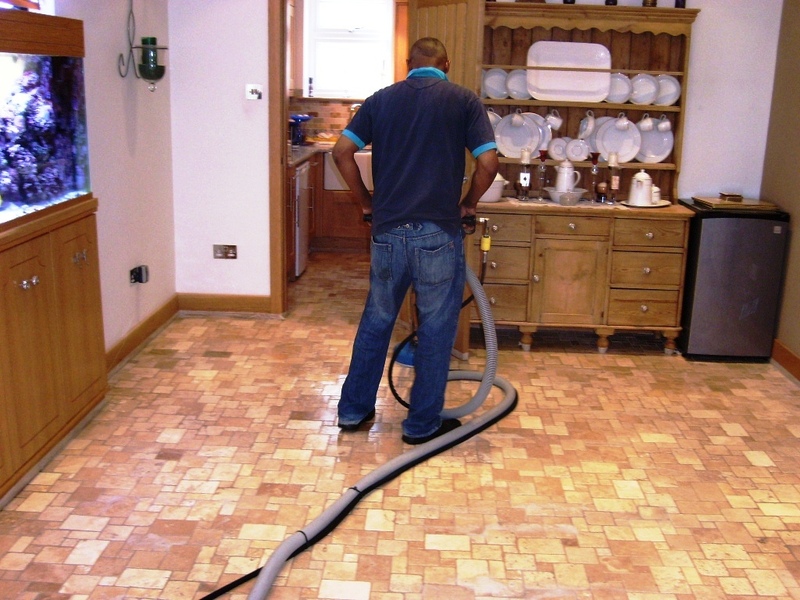 This was then washed down with warm water all of which was removed by a wet Vacuum. 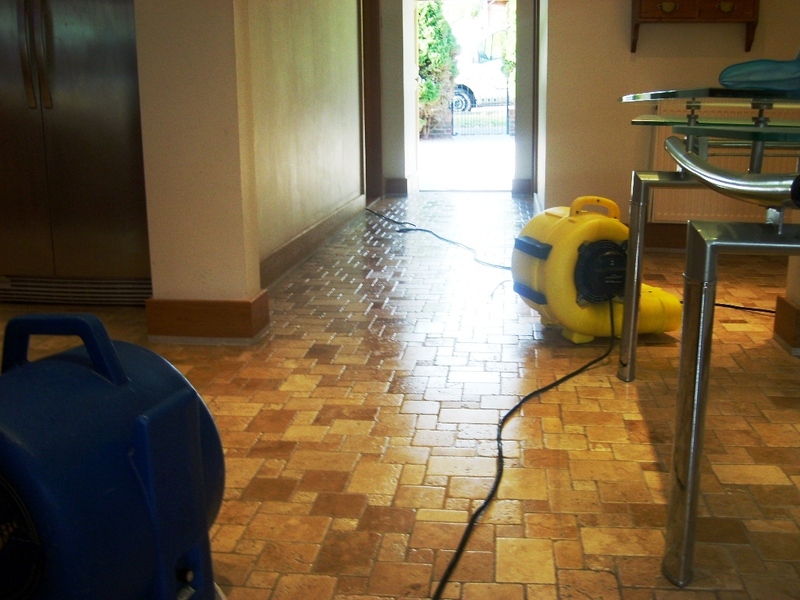 This cleaning process was repeated until the tiles were clean and the grout was a good as I could get it. 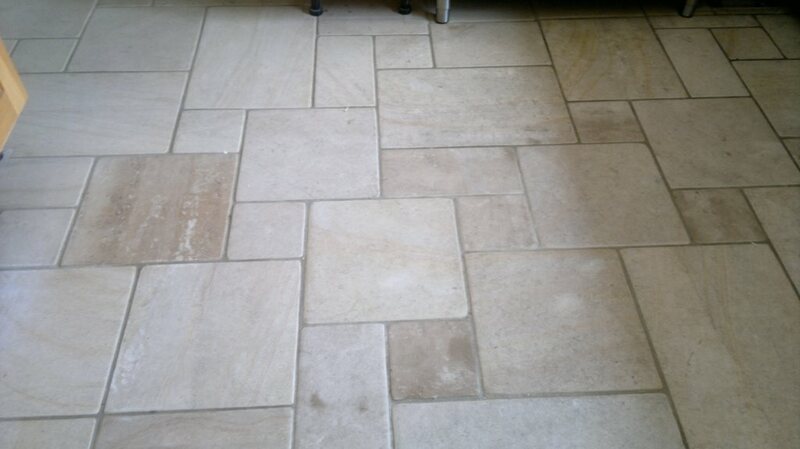 Unfortunately the grout had stained quite badly and we were unable to get a good uniform appearance so after discussing this with the customer it was agreed that we would apply a white Grout Colourant. 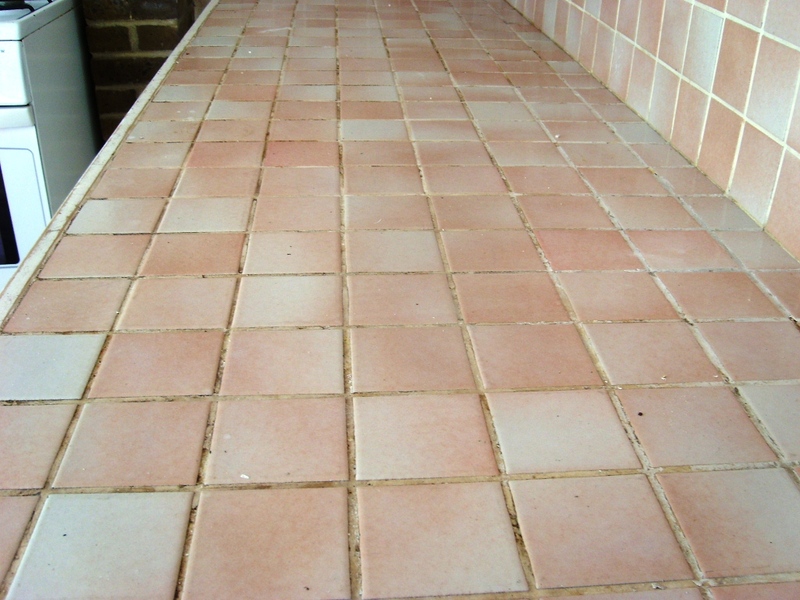 If it was a small area I could have considered using a Grout Pen however this required more than a touch up so this is where you need an epoxy grout colourant which forms a hard wearing epoxy barrier over the existing grout that looks natural and effectively protects the grout from further staining. 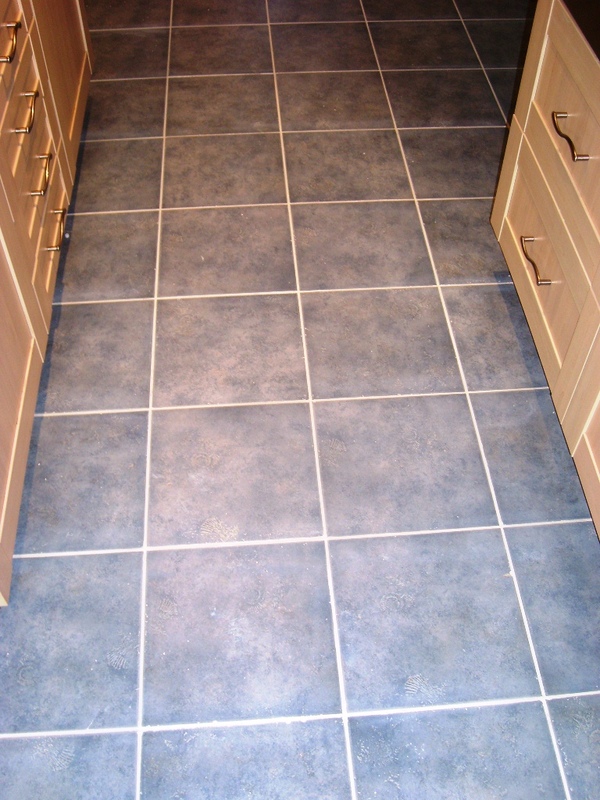 The grout needs to be clean and dry before you apply it so if you’re doing this from scratch make sure you clean the grout first with Pro-Clean or the Pre-Treater product that is available. 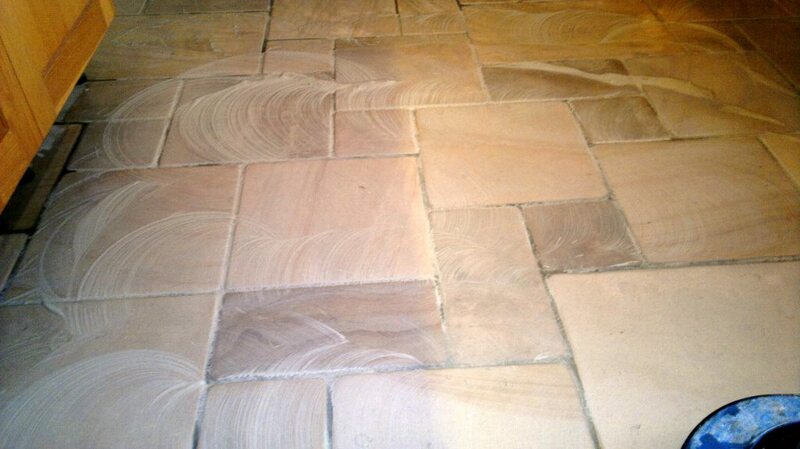 The grout colourant is then easily applied using a toothbrush, it sounds easy but you have to be very methodical. The colourant dries in about an hour after which it’s worth double checking your work and then removing any excess by applying a little water and running over it with a white pad. 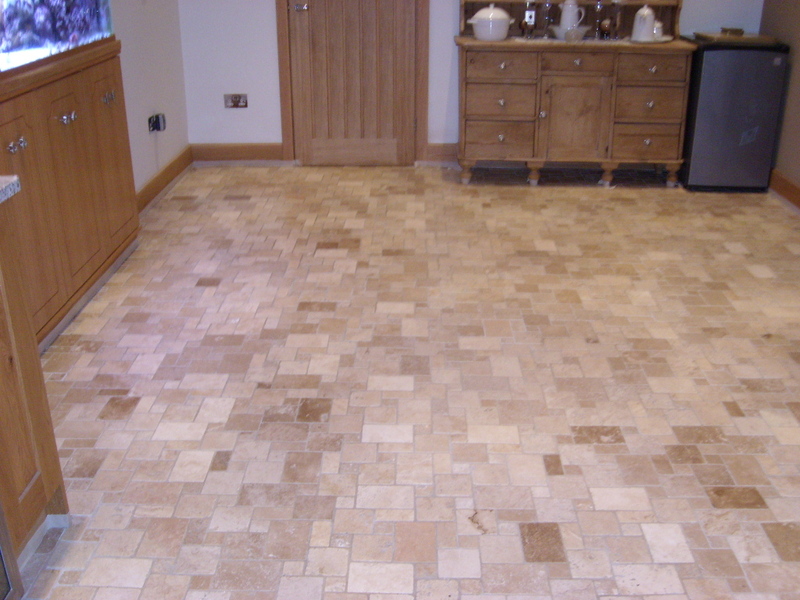 I think you will agree from the photographs the tiles look much cleaner and the floor transformed by the improvement in grout colour.